Everyone knows that geeks share one vital trait in common, regardless of fandom flavor: we’re all very detail-oriented. Whether it’s getting the right color and texture of fabric for that steampunk cosplay, or reciting the correct episode order for the entire first season of Steven Universe, or memorizing Tony Stark’s autobiography…for us, the love is in the details, be it proof of our devotion or laboring tirelessly to ensure that perfection in all our fannish endeavors is achieved. That said, it’s inevitable that when a remake, spinoff, or reimagining of a beloved media property comes along, there’s going to be naysayers. Some tiny detail just isn’t right, some little piece of the original is missing. In the end, there are always dissenters…but then there’s the 2015 Jem and the Holograms movie being released by Universal Pictures later this year. The movie is based on the Hasbro toy line and Saturday morning cartoon of the same name, which centered around one Jerrica Benton, heiress to Starlight Music and the holographic supercomputer known as Synergy. With Synergy’s help, Jerrica moonlights as singing sensation, Jem, and her band the Holograms. Each week, the group takes on the antagonistic Misfits and survives various high risk situations to maintain Jem’s secret, meet their obligations as a group, and execute the charitable work Jerrica does in the form of fostering a group of troubled youth known as the Starlight Girls. The new movie? Well…take a look and tell me how much of that you see here. A spoiler warning: I’m fairly disgusted with this trailer. However, I will give credit where it’s due: the fan in the know will see that they did get at least a few details right. Too often, editorials and reviews will default to complete and remorseless defamation when something isn’t right, and geeks can be the most guilty of this given how hot our passion runs for the things we love, and how focused we can be on details. However, when something like this comes along, where so much is wrong and so many good things about a property that was ahead of its time are stripped away in the name of marketing to a new audience…it’s important to be fair and impartial and take note of the good things to weigh against the bad. The relationships in the band appear to remain much the same: Jerrica has her little sister, Kimber, and best friends Aja & Shana, both of whom are the Benton girls’ foster sisters in the cartoon, and foster children to their aunt in the movie. 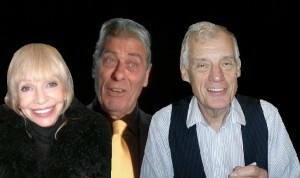 Eric Raymond, the antagonistic record executive, has been genderswapped to become Erica Raymond, and Rico Pacheco is still the band’s manager and confidant. 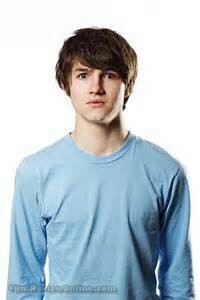 He may still even become a love interest to Jerrica, a fact the trailer makes unclear. These aspects of the film, I will give credit to Universal for…because there’s nothing else about this trailer that I recognize as belonging to Jem & the Holograms. While the movie’s producer, Jason Blum, and Stefanie Scott, the actress playing Kimber Benton, have gone on record encouraging fans to give the film a chance because the trailer holds back a lot, I have to respectfully disagree. In this trailer, I see a teenage nobody achieving overnight stardom, ditching her friends, and learning a lesson about being true to herself. In the cartoon, Jerrica Benton was a powerful and independent woman running her own company and commanding the stage as the beautiful and charismatic Jem. The use of sophisticated holographic microprojectors in her trademark earrings and the AI of Synergy lent a great science fiction bent to the show as well, and the exciting double life Jerrica led was never perfect. She struggled with her boyfriend fighting his feelings for Jem, never realizing she was Jerrica’s alter ego, and she did more than run around being chased by bad guys: she honored her father’s memory by continuing his philanthropic work. Just as he took in Aja and Shana, Jerrica takes care of her own wayward kids in the Starlight Girls, treating them as family. Where is the creativity? Where is the strong female character equaling her peers in a male-dominated industry? Where the hell is the woman with friends who overcame their past to enjoy a fruitful and prosperous future, aiding Jem in bettering young children who were just like them? This is either a case of horribly deceptive marketing, or a film that’s no different than its predecessors, like Josie and the Pussycats. 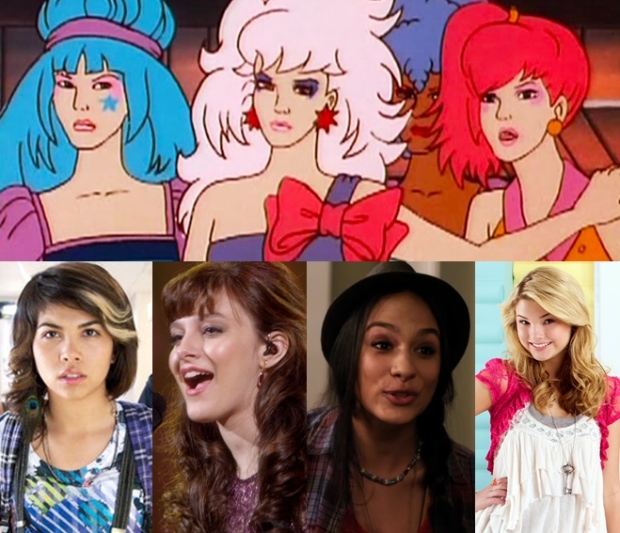 “Homegrown Girl Makes Good” is a story we’ve heard before, and the music in this trailer is an entirely different, equally disappointing story given that Jem and the Holograms were rock musicians. Either way, I truly hope that Scott and Blum are correct: that there’s more to see beyond the two minute trailer. Because if there isn’t? Show’s over, Universal. 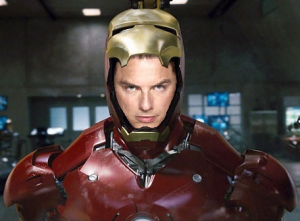 I know Madwoman won’t like this one, but I thought if Robert Downey Jr.
wasn’t cast as Tony Stark, John Barrowman would’ve made a great Iron Man! 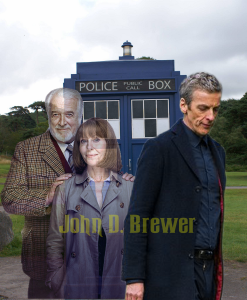 As you may know, most of the fan base for Doctor Who would love to see the return of Classic Era companions, and with most of them getting up there in age you are swiftly running out of time with regards to the earlier actors from the series. 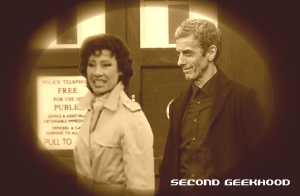 I’ve seen a lot of talk on Facebook and other social media that would love to see Carol Ann Ford return as Susan, th e Doctor’s granddaughter, and you’ve already set up an appearance for William Russel as Ian Chesterton by making him the headmaster of Coal Hill school. Any and all past Companions would be great to see. I, myself, would love to see Frazer Hines & Wendy Padbury return as Jamie McCrimmon & Zoe Heriot. With these suggestions and all the past companions that are still living, any would be a welcome nod to the past. 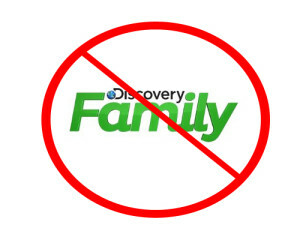 GEEK RANT – Discovery Family, I love and hate you! It’s Saturday, May the 30th, and Discovery Family played both Equestria Girl movies AND the prequel shorts to Equestria Girl: Rainbow Rocks. For those of you who don’t have the Rainbow Rocks DVD, these shorts are the extras. They can also be seen on the Hasbro YouTube Channel. Six of the shorts show how each of the six girls playing their chosen instruments, or how they came to play them. It also shows how they “pony out” when they play, which is sort of like a magical girl transformation sequence in anime. One of these is an original music video of the song, “Shake Your Tail” from the movie. The last two are original songs and videos not in the movie, so these shorts are well worth watching if you are an Equestria Girl fan. It’s like a bonus twenty two minutes…and that’s why I love you, Discovery Family! And now, why I hate you. Do you not view what you are airing? I know you’re not directly owned by Hasbro anymore, but do you not understand dramatic story structure? You aired Rainbow Rocks, but cut off the last song and replaced it with minimized, generic credits in the background of a programming promo piece. I know this is commonly done to save airtime, and that most people don’t care about the credits. However, most movies replay songs from earlier in the movie over a plain background, and this is not how the pony movies work. The closing song, “Shine Like Rainbows,” is an original piece with original animation, and the last bit after the credits is VERY important. I won’t spoil anything, but not showing it is like walking out of an AVENGERS movie and not staying to the very end. Serious Marvel fans know what I mean. This may seem trivial to some…allow me to explain to you why this hack and slash job is a sin deserving of you having your life energy sucked out of you by three sirens from another world. Most people assume that, because it’s a pony movie, Twilight Sparkle is the star, that it’s her movie…only it’s not! Yes, she has problems to deal with. She has to learn that she doesn’t always have to have all the answers. In the end, however, it’s really Sunset Shimmer’s movie. She’s the protagonist. In the final musical battle, it’s only when she adds her voice that they are able to defeat the sirens. When she sings, “You’re never gonna tear me down,” she finally has her magical transformation and it’s the Equestrian magic of the seven that finally defeats the sirens. So why is the last song such a big deal? Because it’s not an epilogue, it’s the end of her story arc. In the end song, she is part of the band. There is no more sense of being an outsider. 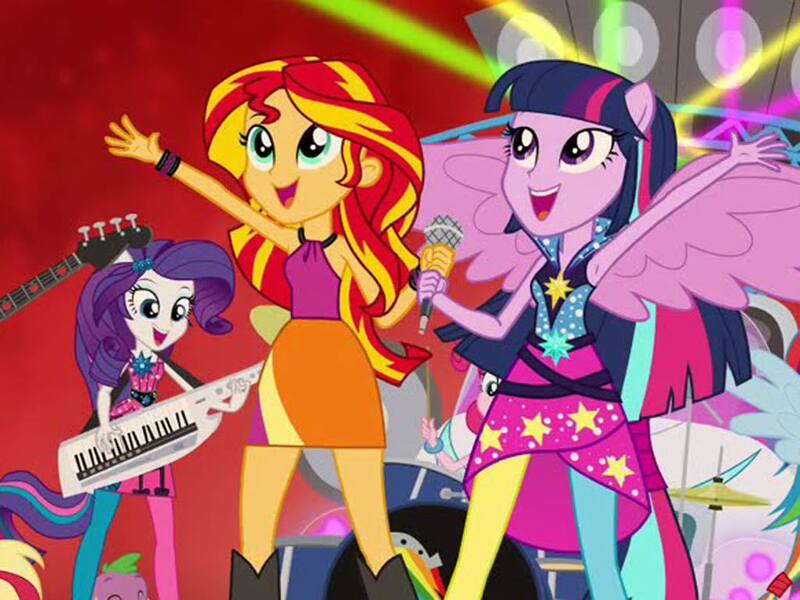 It is the defining moment that tells the audience that she, Sunset Shimmer, is part of this world’s Mane Six. Through the end credits we see that those who once rejected her now accept her. The Cutie Mark Crusaders pick up the book she drops and walk down the hall with her. Bulk Biceps picks her up to retrieve Fluttershy’s bunny. Twilight has gone home to Equestria. This world’s magical protectors are Rainbow Dash, Pinkie Pie, Apple Jack, Rarity, Fluttershy, AND Sunset Shimmer. They all shine like rainbows, just as the song says. But, of course, we missed that today. I know it’s there because I have the DVD, but others don’t. There is a philosophy in the theater world that says an actor may preform the same part a thousand times, but for someone in the audience, it’s their first time. It was someone first time seeing Rainbow Rocks today, and they missed the ending. For those of you who did, here it is. It’s a beautiful piece all by itself. Enjoy.